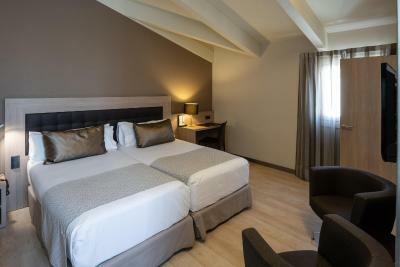 Lock in a great price for Catalonia Plaza Mayor – rated 9 by recent guests! 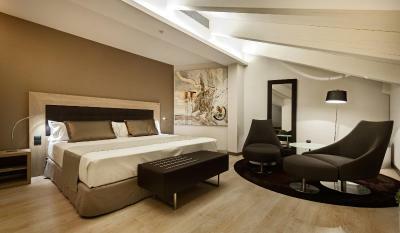 Beautiful room! Quiet, elegant, and spacious. 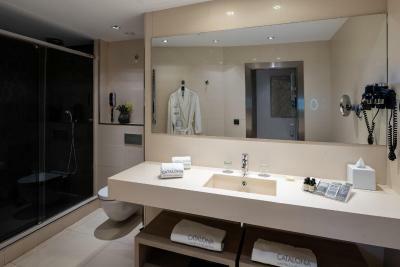 LOVED the rain shower, and the bed was the most comfortable we had while in Spain! Friendly and helpful staff, perfect location for us. 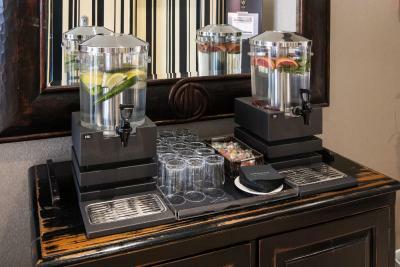 *The tea brand provided in the room is perfect. 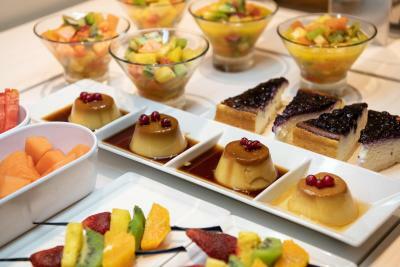 *Free tea time in the loopy with a very good snacks everyday fpr 3 hours. The breakfast buffet was fabulous. Jennifer was awesome. 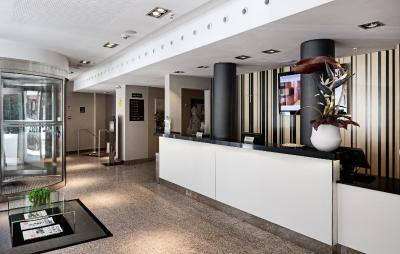 Everyone at this hotel was always helpful and wanted us to have a great experience in Madrid. I wish I could spell the names of all of the staff because they were truly wonderful. Would stay here again if I am in Madrid. Great location! Easy walk to restaurants, monuments, and museums. The room was clean & very comfortable. I also enjoyed tea time that place every evening. Location was amazing! We were very central to everything. The room was very spacious, and the bathroom was gigantic. Everything was sparkly clean, too. The staff was very friendly. No complaints for this property. The location of this hotel is superb. 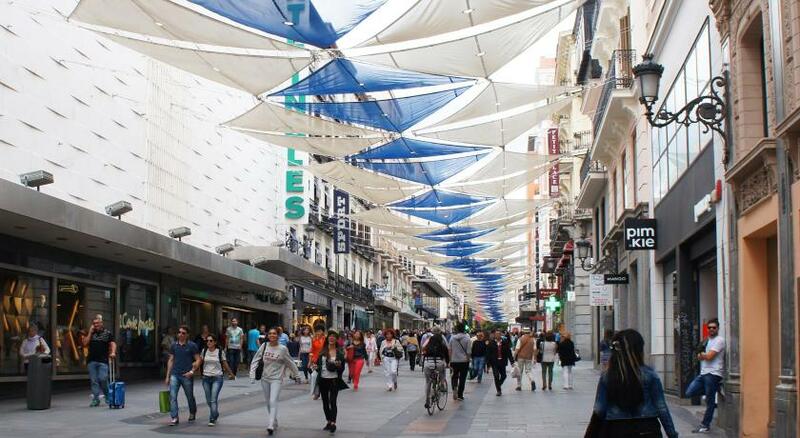 It's a short walk from a metro stop and you could walk to every location in Central Madrid within 20 minutes. If you decided to walk to the Royal Palace you're looking at a 30 minute walk depending on your pace, of course. The beds and pillows were really comfortable! The hotel and rooms were very clean and organized. 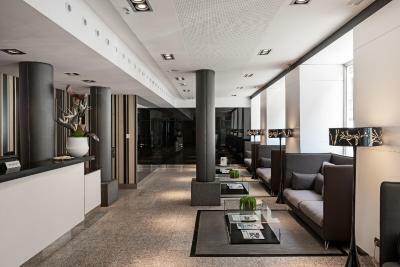 Catalonia Plaza Mayor This rating is a reflection of how the property compares to the industry standard when it comes to price, facilities and services available. It's based on a self-evaluation by the property. Use this rating to help choose your stay! 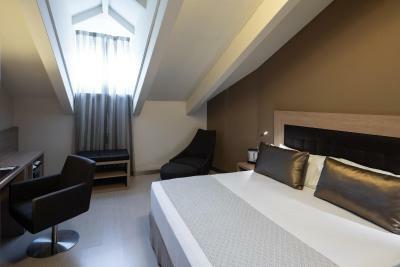 One of our top picks in Madrid.Located in the center of Madrid, the stylish Catalonia Plaza Mayor is within 10 minutes’ walk of the Prado and Thyssen-Bornemisza Museums. It offers a gym, hot tub and free Wi-Fi. 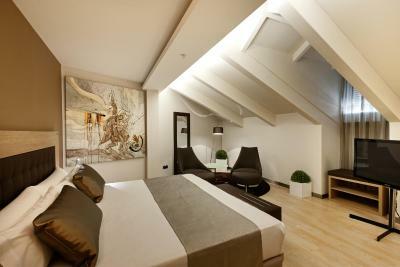 Decorated in neutral tones, the rooms feature modern furnishings and come with a flat-screen TV. The private bathroom includes a hairdryer. 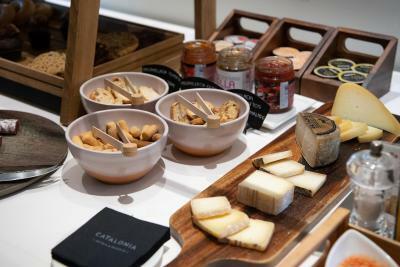 Hotel Catalonia Plaza Mayor offers a buffet breakfast, available until 12:00 at weekends, and has a snack bar, open for lunch and dinner. 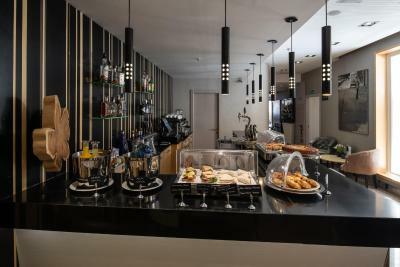 Free tea, drinks and snacks are served daily from 17:00 to 20.00. 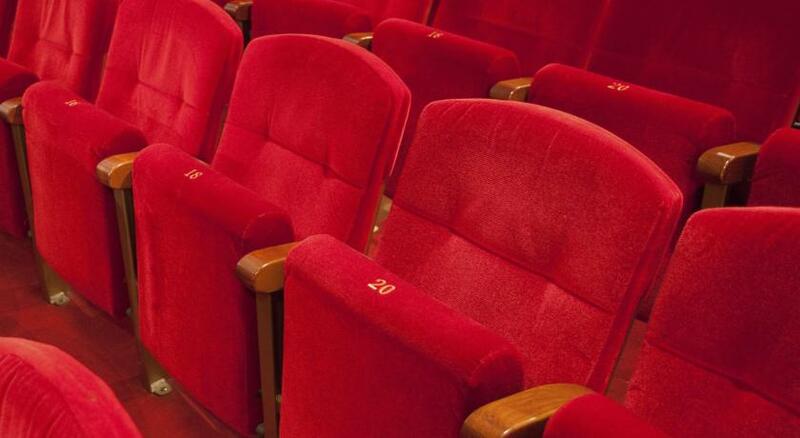 The popular tapas bars and restaurants of Plaza Santa Ana are just 650 feet from the hotel. 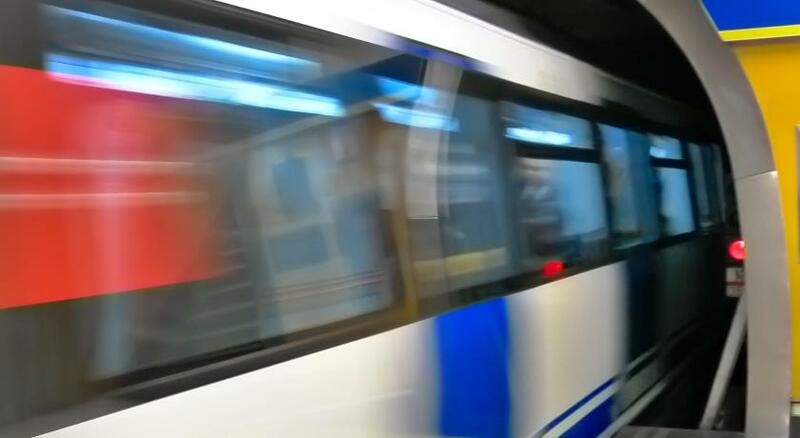 Anton Martin Metro Station is 1,000 feet away while the Atocha Train Station is 0.6 mi from the hotel. El Retiro Park can be reached in 15 minutes by foot. 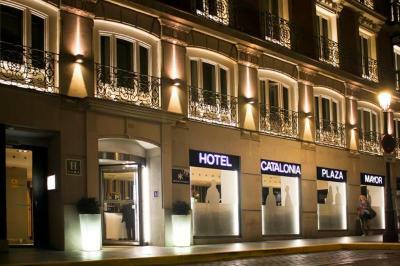 When would you like to stay at Catalonia Plaza Mayor? 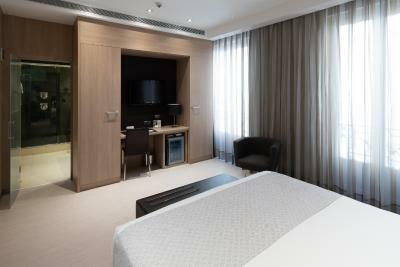 Decorated in neutral tones, this interior-facing room features modern furnishings and comes with a flat-screen TV. 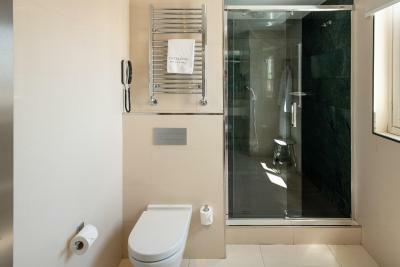 The private bathroom includes a hairdryer and a phone. 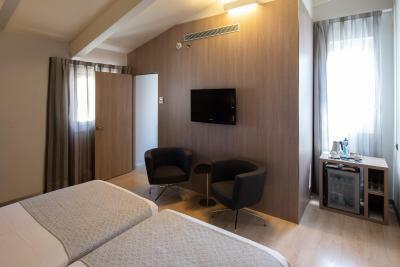 The room offers individual air conditioning and heating. 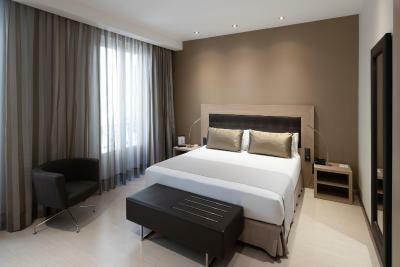 Decorated in neutral tones, this spacious room features modern furnishings and comes with a flat-screen TV. 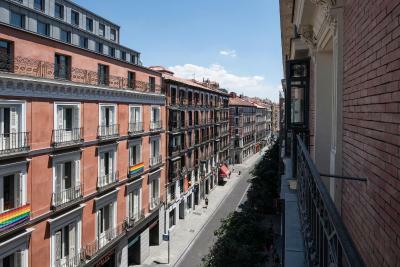 It offers views of Calle Atocha Street. You receive free mineral water and sweets upon arrival. 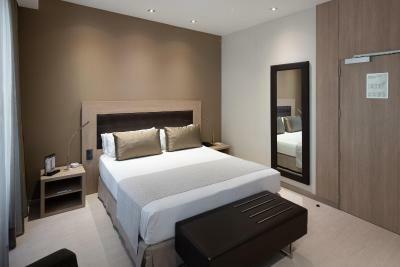 Decorated in neutral tones, this room features modern furnishings and comes with a flat-screen TV. 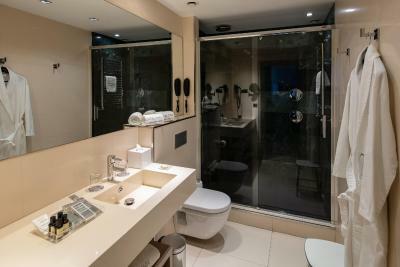 The private bathroom includes a hairdryer and a phone. 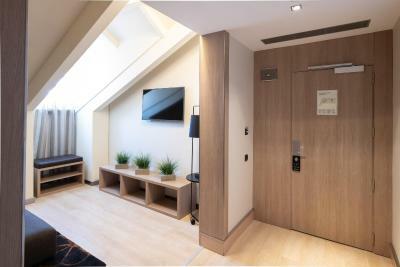 Please note this room overlooks a private interior courtyard. 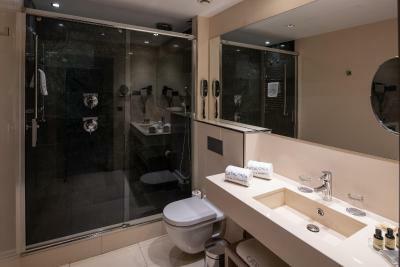 Premium Room facilities include: a dressing gown, slippers, tea and coffee making facilities and a turndown service. 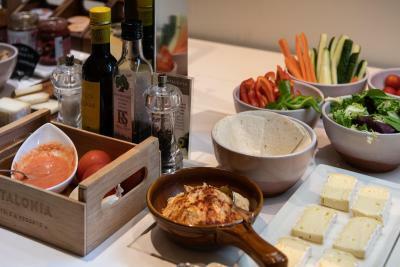 You receive free mineral water and sweets on arrival. Decorated in neutral tones, this suite comes with a seating area and features, a turn-down service, bathroom amenities and a pillow menu. 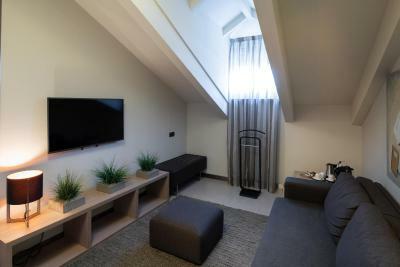 Decorated in neutral tones, this room features modern furnishings and comes with a flat-screen TV. 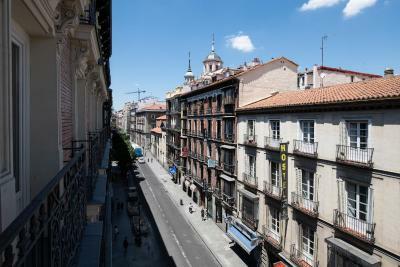 It looks onto Calle Atocha Street. 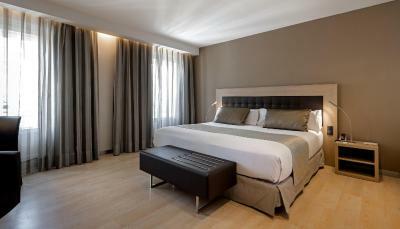 The room offers individual air conditioning and heating. The bathroom has a hairdryer and a phone. 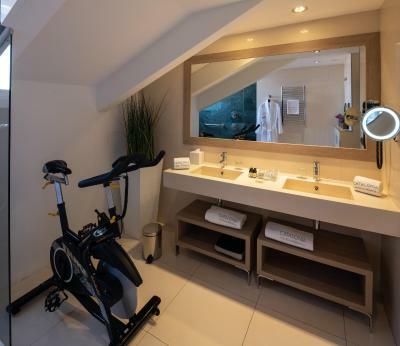 This suite features a private bathroom with a spinning bike. 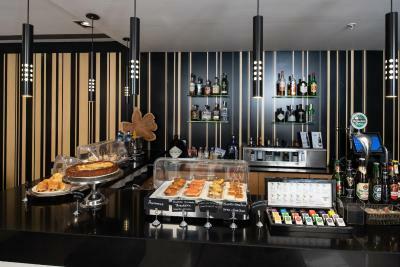 A pillow menu is also available, as well as a turn-down service, free newspapers, and free mineral water and sweets upon arrival. 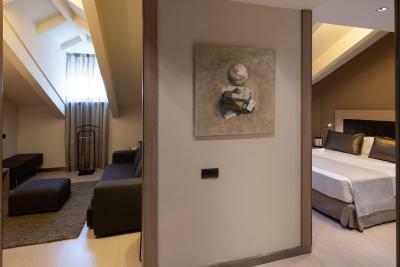 Decorated in neutral tones, this room features modern furnishings and comes equipped with a flat-screen TV. 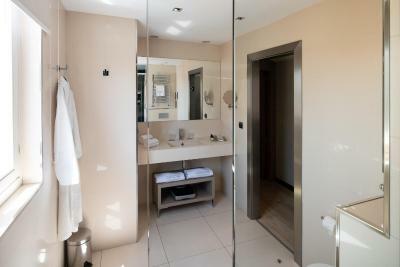 The private bathroom includes a hairdryer and a phone. 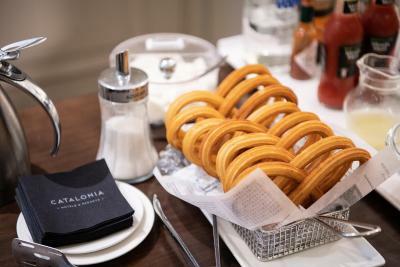 Located in the center of Madrid and opened in March 2011, it is very close to the Plaza Mayor the emblematic Puerta del Sol, Plaza Mayor Catalonia is in the best cultural and commercial area of the city. 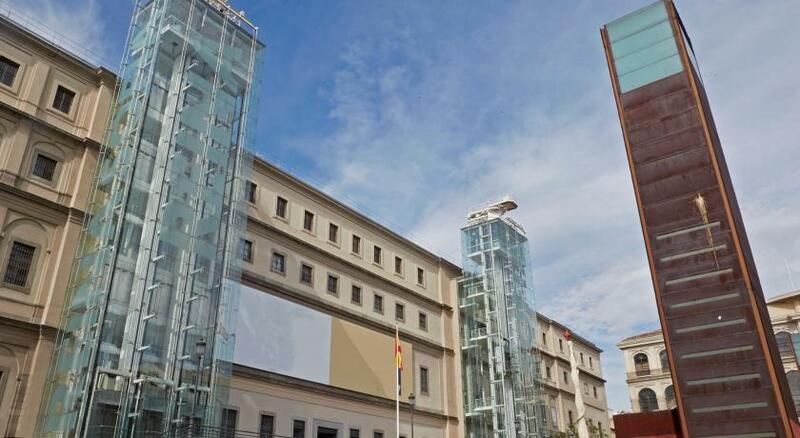 The street where it is located is known for its tranquility and proximity to major museums: the Prado, Reina Sofia, Thyssen Bornemisza, among others. 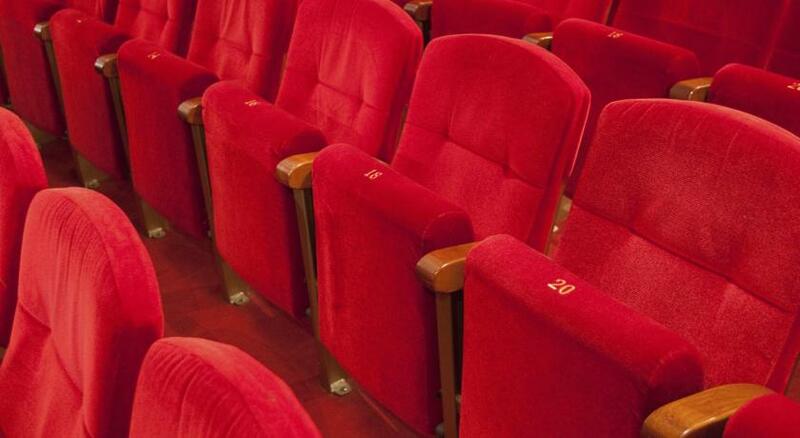 In addition to theaters, bars and the main shopping area of the capital. 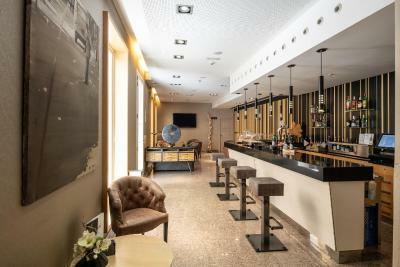 The hotel is just 200 meters from the popular tapas bars and restaurants of Plaza Santa Ana, 300 meters from Anton Martin Metro Station and 1 km from the Atocha train station. 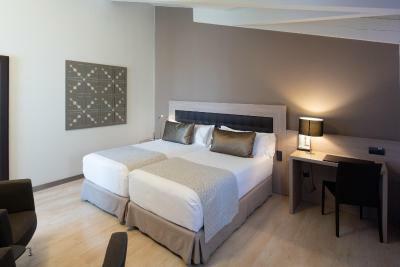 It is a recently restored hotel that integrates art facilities and is environmentally friendly to the environment. 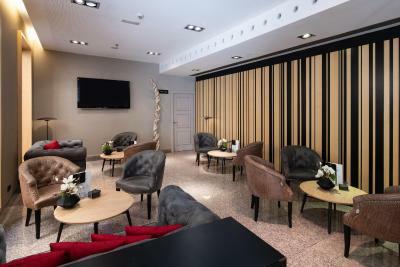 Finally note that this oasis is located in the heart of Madrid with such picturesque neighborhoods like America or the Barrio de las Letras. 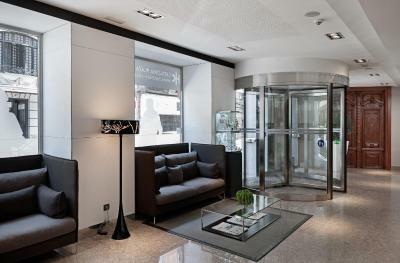 House Rules Catalonia Plaza Mayor takes special requests – add in the next step! Catalonia Plaza Mayor accepts these cards and reserves the right to temporarily hold an amount prior to arrival. 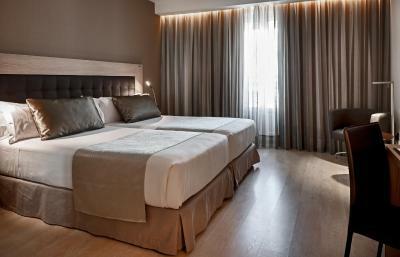 Please note that rooms cannot accommodate more than 3 guests, including children. Please contact the hotel if you require parking. 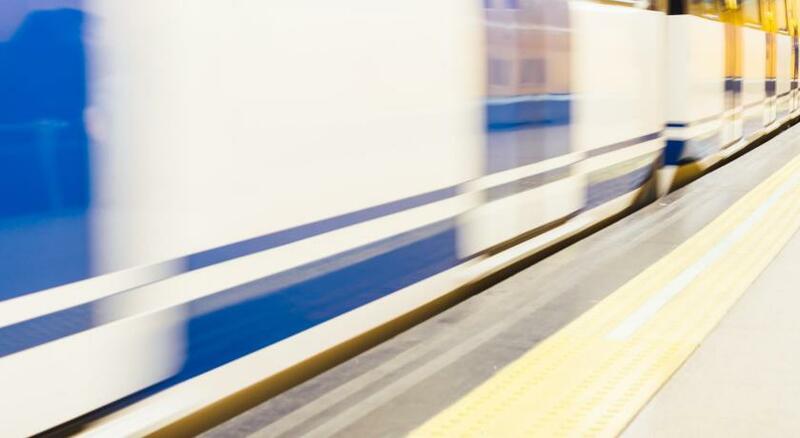 Convenient proximity to boutiques and loads of restaurants. Easy walk to museums and palace. Evening snacks were good! Had to call the front desk couple times to remind them about the ice we requested. During our trip to Spain, we stayed in Barcelona, Malaga , Granada, but only here in Madrid that we had to remind the front desk couple of times about our request. Also, they didn't provide slippers and robes compared to the other hotels we've been to. Clean close to everything we want to go to. 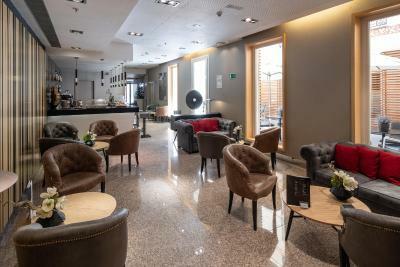 The hotel is 15 minutes's walk from the Atocha train station, which is very convenient if you are going to venture outside of Madrid (Toledo is a great place to spend a day - just half an hour by train). 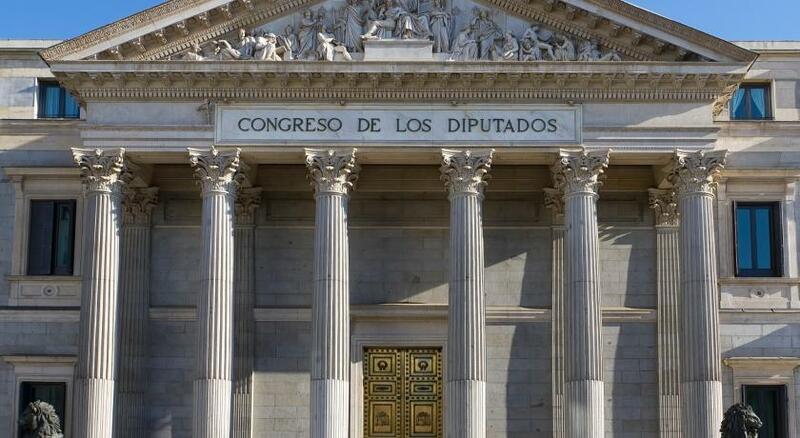 Actually, the hotel is located in the very city center so everything (the Prado Museum, the Royal Palace, Puerta del Sol, etc) is really within short walking distance. The staff was very hospitable and helpful. The breakfast was very good and tasty (again, tasty!). 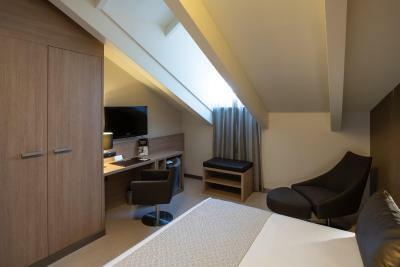 My room was clean, modern, with all the niceties (a safe, slippers, a robe, various toiletries, a free bottle of water, a coffeemaker). I opened the windows in the evening and left them open for the night, which is great! Very effecient and welcoming staff.Good choice at breakfast.Super location very near many tourist sites and about 15 minutes from station. Everything about this hotel had a relaxed, warm approach. We felt very comfortable and most welcome. Bar area lacked some atmosphere but we were still happy to have a bar for a late night tipple. Staff very friendly. Immaculately clean and beautifully appointed. 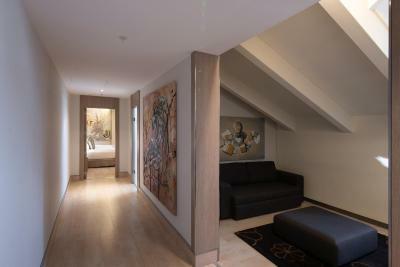 Very central easy walking distance to the main attractions. In spite of its location it was very quiet at night.